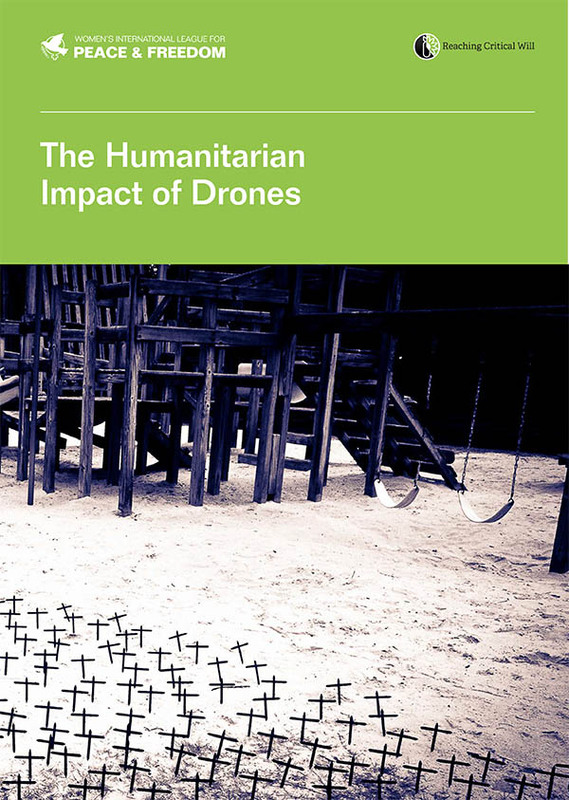 This study examines various humanitarian impacts of the use of armed drones from a number of different perspectives and regions. With contributions from academics, legal analysts, and survivors of armed drones, this report aims to refocus the debate about drones on the harm caused to people by these weapons as specific technologies of violence. It examines the significant challenges raised by drones to international law, human rights, ethics and morality, peace and security, environmental protection, development, transparency, surveillance, privacy, policing, gender equality, and more. Please contact us for the PDF. We are delighted to offer the online version for free, but please consider making a donation to Reaching Critical Will to help us cover the costs of producing this paper and the other materials and information services that Reaching Critical Will provides.